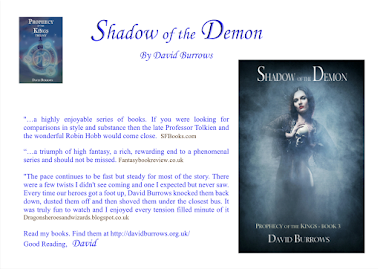 Free to download for Kindle Users only, this Wednesday 2nd Oct. 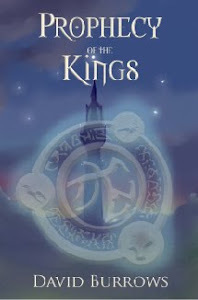 Check out the first volume of the Prophecy of the Kings. 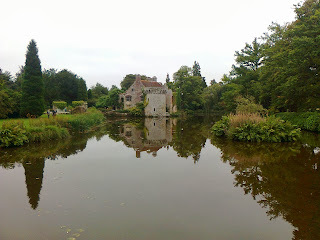 Here are some snaps of Scotney Castle. Very picturesque place especially when the weather is nice. Taken with my mobile phone so could be better. The castle was really a defensive manor house that was abandoned in about the 18th century when the owners moved into teh grander building at the bottom. Who could blame them!! Then as the day ended I met a colleague who had bought a copy of Prophecy of the Kings. It really lifted my spirits as we blathered for a few minutes about my book. He was part way through Book 1 and was clearly enjoying it. As an author is very gratifying to get such lovely feedback. Thanks, Tim. You made my day and helped to add a skip to my walk home. Just re-watched X-Men First Class and X men - The Last Stand. What brilliant films. Highly entertaining and not a dull moment. Definitely two of my favourites. The only problem is inconsistencies in plot lines. There's one major gaffe. Other than that - brilliant and you can easily forgive the inconsistency. Dropped the car at the local Vauxhall garage - didn't dare drive it as the started motor was going. Four days later and they still hadn't done anything other than to say it would cost over £500 and the part wouldn't be available until Monday. I decided to take the car away and went to a smaller back street garage. They could fix it the next day for £200. Enough to make you angry at the original quote and time delay! Anyone else have a bad experience? Not that I'm into fairies you understand. Took my son to Exeter. Last time journey took 7 hours so barely any time there. This time car problems. Setting off - the battery indicator came on but went off after turning key off/on. On the way the car sounded very ropey when starting it so bought and fitted a new battery at Exeter. Next day - same problems so didn't dare stop on the way home. Parked car outside the garage. At home and relaxing - then the cat was sick on the carpet!! I don't think Exeter likes me!! "He stood there on standing legs." Anyone else read any similar lines that stand out? Drop me a post here. 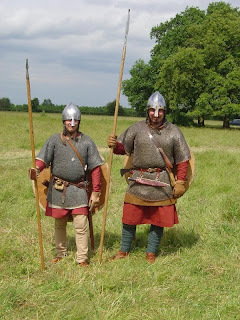 Every year for a period of about 10-12 years I went to York to take part in the Viking festival. Really amazing event and I loved the historic city of York. Whilst taking a break after practice fighting in the morning I arranged to meet my wife in BHS coffee shop. This was on the third floor of a very busy department store. On the third floor I turned around looking for my wife and heard a clink. At this point I need to say that I was wearing full Saxon armour including a very large round shield and a 9 foot spear over my shoulder. I had wandered into the lighting section which was festooned with hundreds of lamps hanging from the ceiling and a very narrow aisle again with lots of glass on shelves. I had a real problem extracting myself with a spear and shield and fortunately I managed to do so without any damage. I felt like a real numpty though. I recently ran a competition involving author interview questions. Here is my response. What authors have inspired you to write fantasy books? Tolkien has a lot to answer for, of course. I particularly liked the Silmarillion. I also read a lot of books by Stephen Donaldson, Michael Moorcock and David Gemmell. I love imagination so I guess that is also what inspired me. I do enjoy reading and modern authors have added gritty reality to fantasy. I like Brent Weeks, Joe Abercrombie and George Martin in particular, but unfortunately these authors came too late to influence me. Although I enjoy the gritty reality in their tales I still like traditional fantasy. A tremendous book I recently read was the War of the Fae by Elle Casey. How do you name fantasy characters? Writing is hard work and I find it especially difficult to create new names. Inspiration came when I decided to use the names of friends and family, but as anagrams. 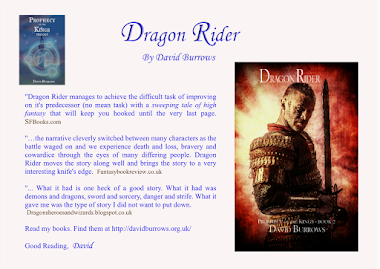 My favourite character is a witch in Book Two (Dragon Rider) called Ariome, an anagram of Moira, my mother in law’s name. I was in deep water when I happened to tell her what I’d done. Fortunately, she took it well and we do still speak to each other. Just. How do you create your worlds? Some of the ideas in my book came from our own history and periods that interest me. 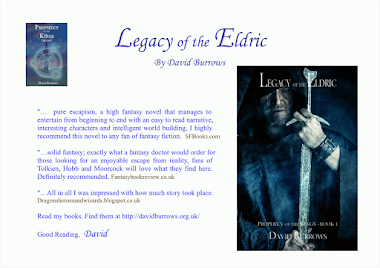 The main theme of my novel is a race of people called the Eldric. Their legacy was very much like the Roman legacy is to us, today. 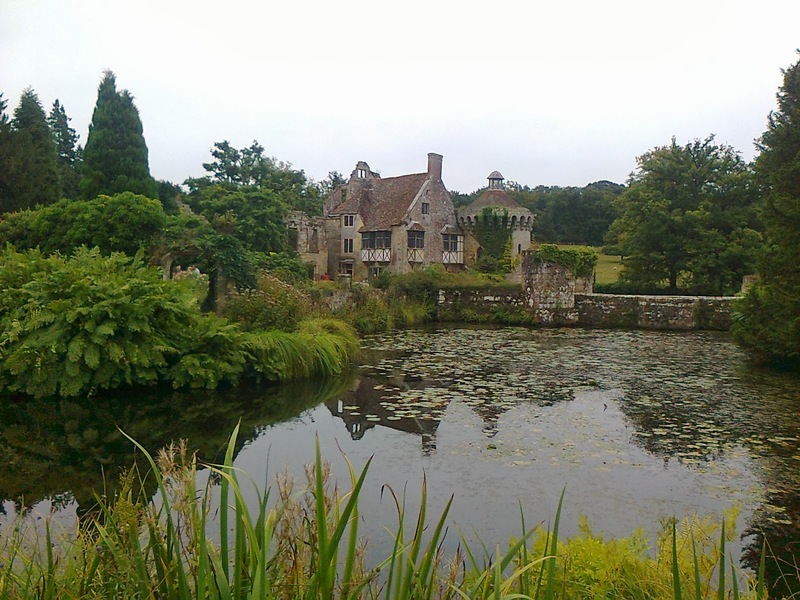 We have Roman ruins that tell of a dominant race of people who ruled at a time when most other societies lived in wooden buildings. I wanted to create a sense of wonder and of superstition. I did this using the Eldric's mysterious disappearance and the cyclic demon threat that occurred every 500 years. This made the people’s superstitions real, but vague as they didn’t record their history. 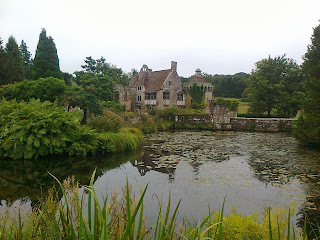 I also looked to our Saxon heritage where people were much more likely to believe in imps, fairies and dragons as they lived so close to nature. I liked that sense of naivety. We all have a huge sense of wonder that stems from our childhood and I wanted to capture that, but in an adult world. What do you want your readers to feel and think about you books, what is your goal? That’s back to creating a deep sense of wonder and superstition. I wanted the books to be creepy, with a real sense of loss. The main character, Kaplyn, is taken to the very brink of despair, but he manages to keep going. The final battle certainly hangs in the balance and frankly could have gone either way in my mind. My goal was to create a sweeping tale that was more than a little bitter sweet. The original idea for the tale came to me when I was about 17. However, at that time I only wrote a few pages. A friend asked to see them and then nagged me every time we met as to when I was going to finish the book. Frankly, I had barely started so I felt like a fraud. However, I was very curious as to what was happening in the tale. 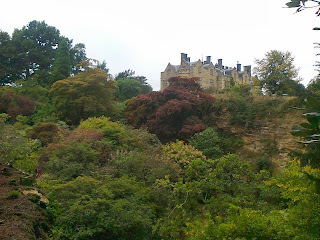 I had a very vivid initial scene in my mind, of a cave, two brothers and betrayal. I didn’t know how they came to be there, or what would happen to them. I knew that only one brother would escape and in so doing took with him all the demons from hell. His escape was fraught with danger and all around him souls were gibbering and shrieking. I really enjoyed writing how this scene came about and then even more so when I worked out where the tale was going. Strangely, it was like reading a novel rather than writing one. At times I was really stuck and had to await inspiration. When inspiration finally came, it was like turning the page of a novel and I would dash to pen and paper and take the characters to the next inevitable cliff-hanger. I finally finished all three books when my children were teenagers. All in all – it took a very long time. If you had a chance to spend some time with one mythical being, what would it be and why? In my world I created krell, grakyn and shaol amongst others. I certainly wouldn’t like to meet any of them, especially on a dark night. Having a shaol would be handy; a guardian spirit that watches over me. Meeting a fairy would be good. At least that would be small and inconspicuous. I think talking to a mythical being may get you arrested otherwise. A genie would be high on the list. I’d ask for as many wishes as I wanted, although that might be a bit dangerous if I talked in my sleep. Wow, a dragon like Smaug would be cool. In my tales dragons are very dangerous and manipulative, so that may not end well. Demons, again these feature in my books and there’s no way I’d ever want to meet one of them. Father Christmas would be jolly but I may be on his naughty list, so again that may be disappointing. Back to the fairy, I think. Just so I could prove mythical creatures existed even if it was just for me.